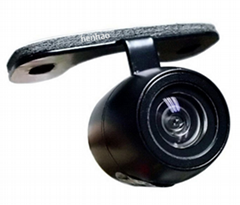 A Reputable Supplier since 2008 Established in 2008, HENHAO (GROUP) CO. LIMITED is a large-scale enterprise specializing in the R&D, production and sale of car A/V and security systems. We offer car multimedia navigation systems, burglar alarms, car GPS tracking systems, security systems, intelligent parking systems and car jump start systems which are compatible with 200-plus car models. Exporting to the US, Australia and Europe We export our products to over 20 countries and regions worldwide, including the US, Australia and Europe. The expansion of our sales network is our ongoing mission. Supported by over 50 R&D Officers for Continuous Innovation Filling OEM and ODM orders is not a problem for us as we have a research team of 50-plus R&D officers. Since our company's establishment in 2008, we have been gathering high-caliber engineers. 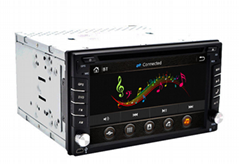 Our Achievements and Goals In 2013, we released the first Android system for in-car DVD players. 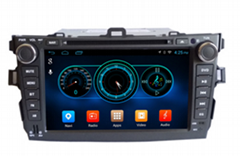 In 2014, we developed the Android system which can be used for car multimedia navigation systems. In 2015, we will release Android system for Audi, BMW and Mercedes Benz, and a brand new car jump starter system.